$199 for 4 hours. 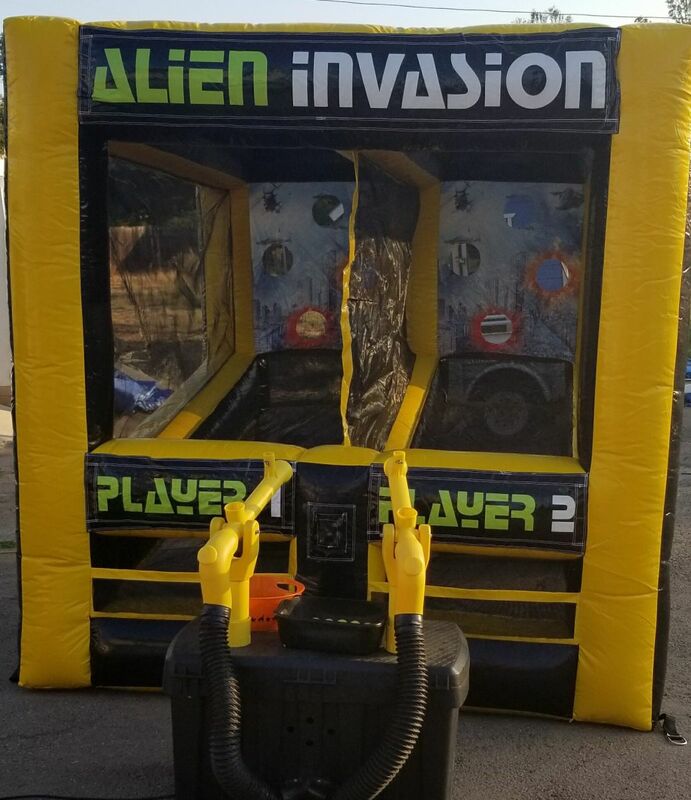 $20 each additional hour. 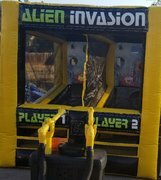 Alien Invasion is a fast paced game that is great for children and adults to play against each other. 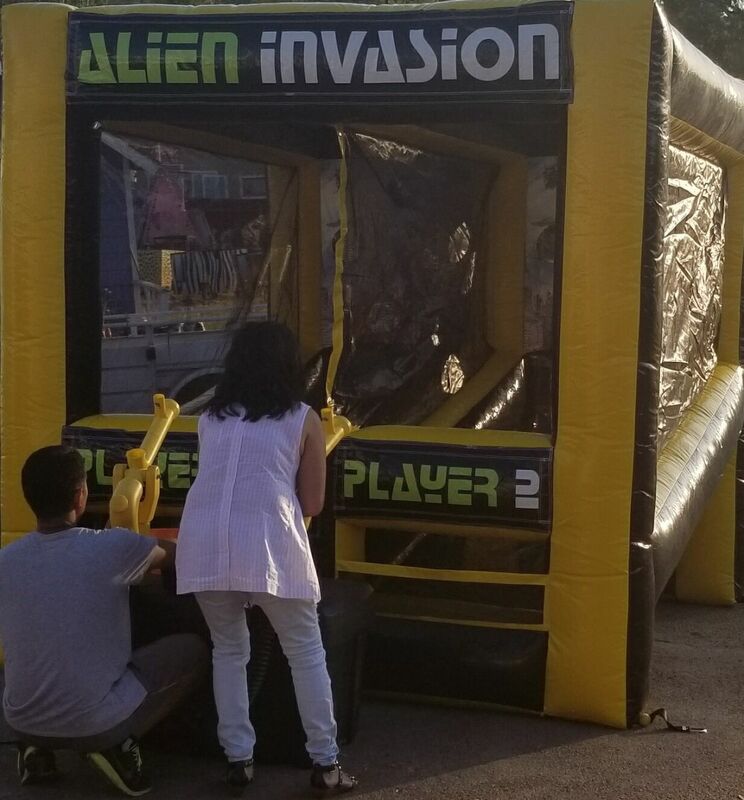 2 people have fun "blasting" foam balls at the attacking aliens. 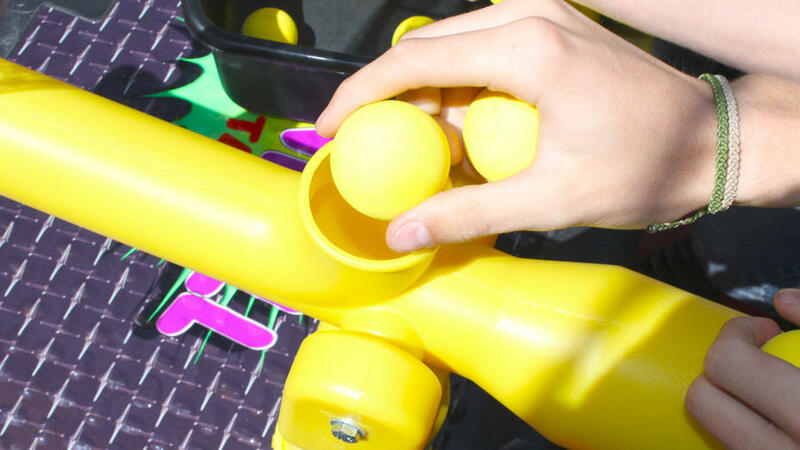 Point the cannon, drop the ball into the hopper and try to get it through one of the holes to score. If you score, your ball falls into the lower display area showing you and your competition how well you are doing. Winner is the one who has the most scores. 8 ft 4 in w x 8 ft 2 inches high x 10 foot deep. 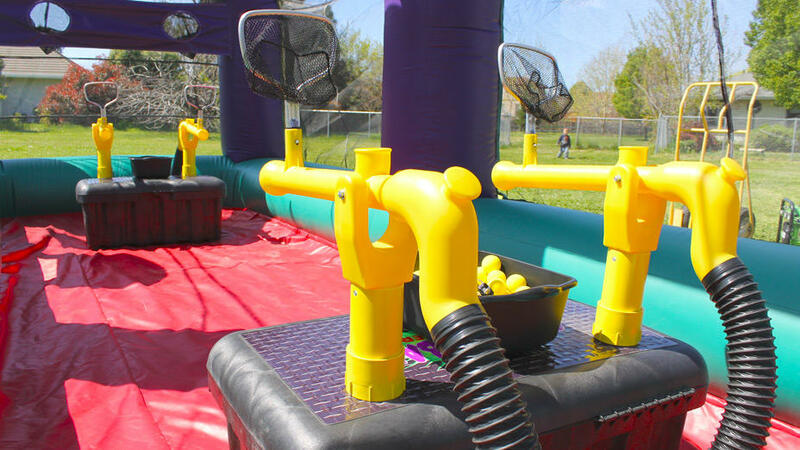 Comes with 2 buckets with 20 balls in each. We tested this unit and it only took 30 seconds to play a round. Figure 1 minute turnaround time and you can see this will be a great ticket item for your next event. No prizes needed since the winner gets bragging rights over the loser.